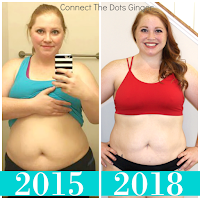 Connect the Dots Ginger | Becky Allen: When's The Best Time To Workout? Before or After A Meal? When's The Best Time To Workout? Before or After A Meal? 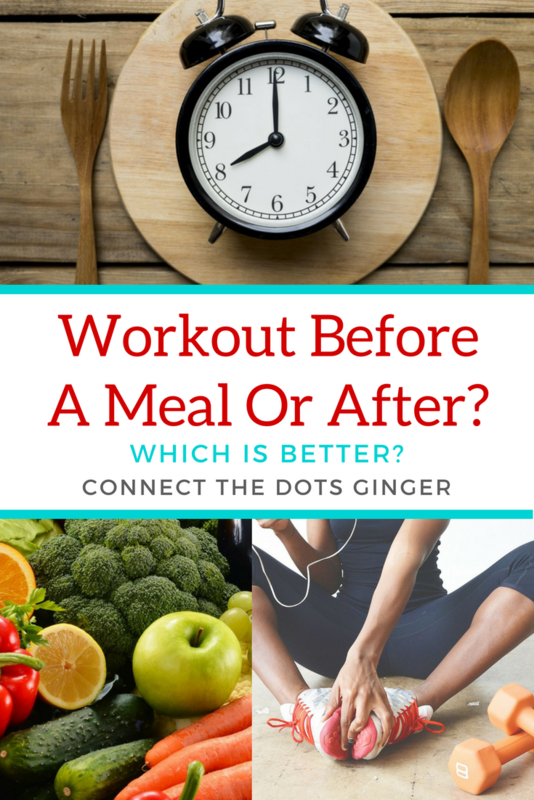 Are you struggling finding the "right time" to eat before you workout so that you have enough energy to make it through your workout but don't feel like puking during your workout because you have too much food. Below are a few of my favorite snacks, plus my favorite pre-workout drink, during workout drink and after workout meal to help my body repair and heal! Exercise uses energy to burn calories and most of the energy that is burned comes from carbs because they are considered fast burning energy. 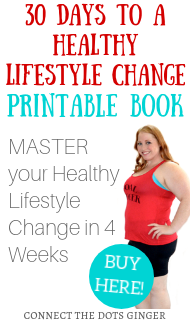 If you are looking to lose weight, it might not be good to workout on an empty stomach due to your insulin and blood sugar levels dipping too low. Which can make you feel weak or shaky and impact your workout. If you do eat a full meal before exercising, try to allow time for your body to digest some of it. Around 2-3 hours prior to working out. If you are able to, have a small snack about an hour prior to your workout. Aim for a combo of carbs, produce and protein. Especially if you are working out before having breakfast. Also, make sure that you are staying hydrated before, during and after your workout. I drink a PRE-WORKOUT DRINK by Beachbody to help give me energy (without getting any jitters!). "It has key ingredients to buffer lactic acid buildup, and delay exercise induced muscle fatigue, improve performance and help push to max intensity." My DURING WORKOUT DRINK, HYDRATE by Beachbody is for workouts that are longer than 30 minutes. 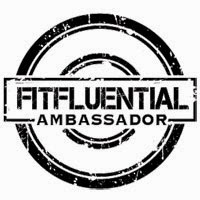 "It is specially formulated for all-out performance with an optimal balance of carbs, electrolytes, and water that quickly replaces what's lost and improves endurance so you can workout out longer and feel better." And after my workout, I enjoy a nice cup of water just to make sure I am staying hydrated enough. Followed by a protein based meal or shake, like Shakeology within an hour after my workout to help my muscle repair and build.